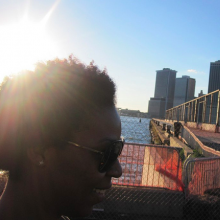 Harlem Amenities is a local concierge and errand service designed to help busy New Yorkers by taking on essential tasks. You designate and we detonate. With demanding work schedules, commitments and social lives more and more personal time is disappearing. The founders, Mikel and myself, thought of the service after years of 50-60 hour weeks and mile-long chore lists. Basically we needed a housewife. 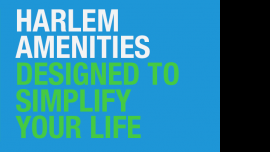 Harlem Amenities was created to give busy New Yorkers more time, freedom and peace of mind. Taskrabbit.com has had great success in the online model of farming out tasks but at Harlem Amenities we have more analog, hands-on approach. With a simple phone call or email we take on your to-do list and you take on brunch. I'd love to talk about ways that hiring a concierge can save everyone time and money. The NY Times had an article in December about how outsourcing help this way is an incredible asset for small businesses and start-ups. Great class at Skillshare.com, by the way.